Mosquitoes: those pesky insects that spoil evening BBQs and parties. They cover your body in bites and leave you scratching your head (and skin) on what to do to stop them. If you want to stop mosquitoes, prevent them from breeding. To stop the breeding, eliminate standing water. And in most cases, the standing water, and source of mosquitoes, is in our own backyards. When people imagine standing water, we usually imagine a pond. But in reality, the standing water utilized by mosquito species of concern is in residential areas - backyards and balconies. To a mosquito, the typical backyard or balcony is a paradise. Mosquitoes don't need a lot of water - as little as a bottlecap full - and there are many spots that are often overlooked by people when they search for standing water. If you think like a mosquito, searching out tiny pockets of standing water, you'll be amazed the places you'll find. Children's Toys: The seat of a swing set, the edge of plastic toys, crevices in a sandbox all can hold water. Containers: A container is anything from a bucket to an abandoned swimming pool. Overturning a container might not be enough as water can collect on the bottom lip. SOLUTION: Bring containers indoors, if possible. For containers that cannot be moved inside, either add a mosquito dunk to the water (use as directed) or empty and scrub at least weekly. For swimming pools, drain if not in use. 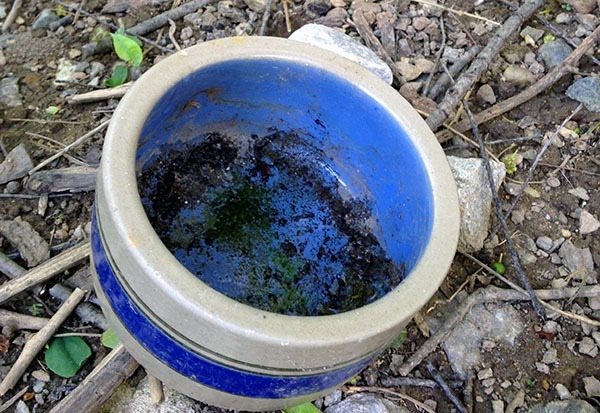 Even on its side, this bucket still holds enough water for mosquitoes to breed. Roof Gutters and Down-Spouts: Often overlooked, but frequent hidden breeding spots. SOLUTION: Clean out roof gutters regularly and ensure the downspout is not clogged. Be sure to practice proper safety measures! If a down-spout extender lays flat on the ground, it could collect water inside. Tape or rubber band a piece of nylon or screen around the end of the down-spout. The porous material will prevent mosquitoes from flying in, but allow water to get out. If possible, replace corrugated down-spouts with smooth PVC to prevent mosquitoes from breeding in the grooves of the pipe. Trash: Trash in outdoor areas is a nuisance as well as a mosquito paradise. SOLUTION: Remove all trash from outdoor areas. Soda bottles, cups, plastic bags and more, can hold enough standing water to be mosquito sources. 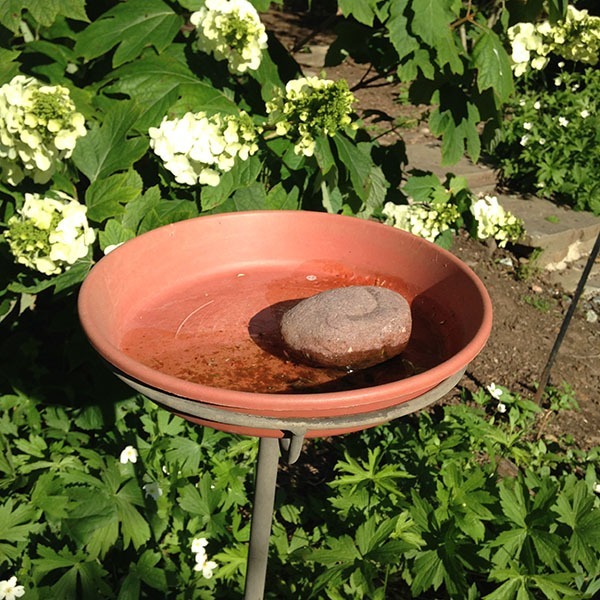 Birdbaths and Potted Plants: Common sources of mosquitoes. SOLUTION: Birdbaths need mosquito dunks, an aerator or a running fountain to prevent mosquitoes. If using mosquito dunks, remember to follow the instructions. If none of these options are available, empty and scrub birdbaths every few days. Remove the basin from below potted plants or flush them out and scrub at least weekly. Unless this birdbath gets an aerator or is dumped and scrubbed regularly, it will attract mosquitoes. 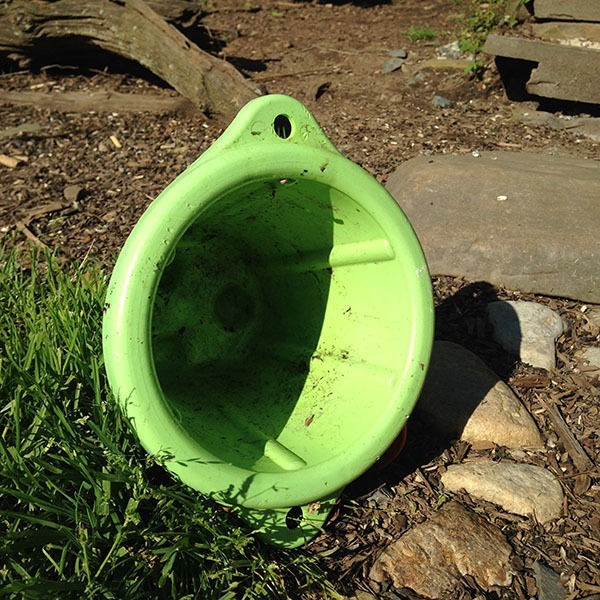 Recycling and Trash Bins: Even though bins have drain holes, small amounts of water may still collect. Overturning them is not enough as mosquitoes can breed in the lip of the upturned bin. SOLUTION: Store recycling and trash bins out of the rain. Dump any water at least weekly. 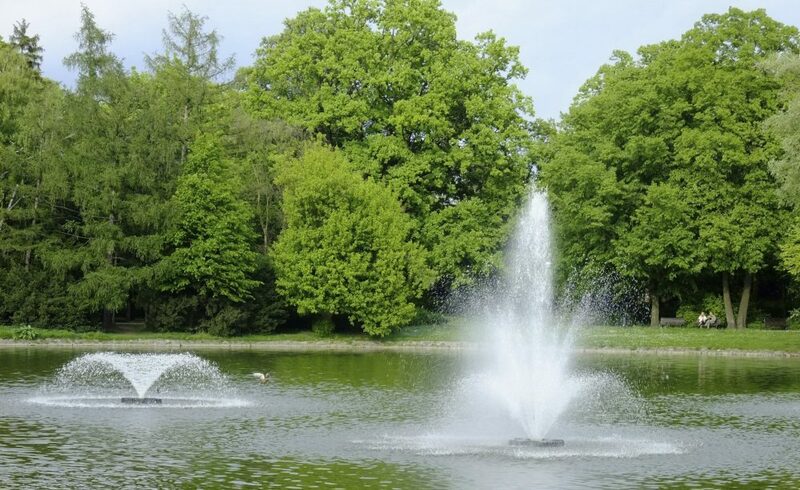 Ornamental ponds: Common sources of mosquitoes. SOLUTION: Ornamental ponds need an aerator, and/or natural predators, like fish, to prevent mosquitoes. 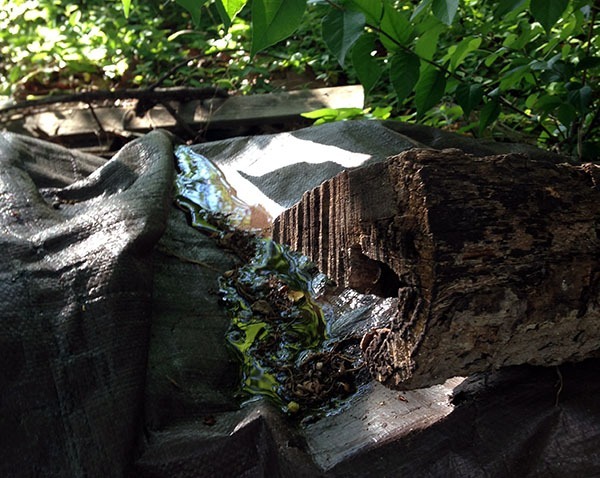 Tarps, Pool Covers and Covers on Wood Piles: Another often overlooked mosquito source. SOLUTION: Tighten to minimize folds. If water still collects, shake out the tarps and covers at least twice a week. For wood piles: Keep all logs under tarps, elevated off the ground and shake out the tarp regularly. Dripping faucets and outdoor leaks: Along with being wasteful and possibly damaging to your foundations, consistent leaks can create pockets of standing water. But what about ponds, stormwater management facilities and natural areas? Further, the mosquito species of concern for their potential to carry the Zika virus are not known to breed in these areas. They focus their breeding in standing water near residential areas in the places like buckets, gutters, abandoned tires, etc. Of course, problems with ponds and natural areas may occur, and in those instances, call MC311 for assistance. Less mosquito bites or risk of mosquito borne illnesses. Need we say more?